Pick up from your hotel lobby or airport and depart on a 2 hours journey to Kinabalu Park Headquarters. Along the way, you will pass villages and a panoramic view of the valleys of the Crocker Range. Take a brief stop at Nabalu Market to experience the local culture. Check into Kinabalu Park Hostel or similar. You are free at leisure for the rest of the day to explore Malaysia’s First UNESCO World Heritage Site. Dinner will be served at Balsam restaurant from 6.30PM - 9PM. Overnight in Kinabalu Park Hostel. Breakfast at Park Restaurant. After breakfast, collect your packed brunch and proceed to Kinabalu Park Headquarters for registration. Remember to wear your ID TAG at all times. You will then be transferred to starting point – Timpohon Gate – where your trek up Borneo’s highest mountain begins! The climb will take approximately 4-5 hours. The trek will pass through different vegetation zones, ranging from Oak and Chestnut to mossy, and eventually to alpine type of vegetations. Arrive and check into Laban Rata Rest House @ 3,272m a.s.l. or similar in the afternoon. Lunch will be served from 11.30AM to 3.00PM. Relax and enjoy lunch with a bird’s eye view above the clouds! 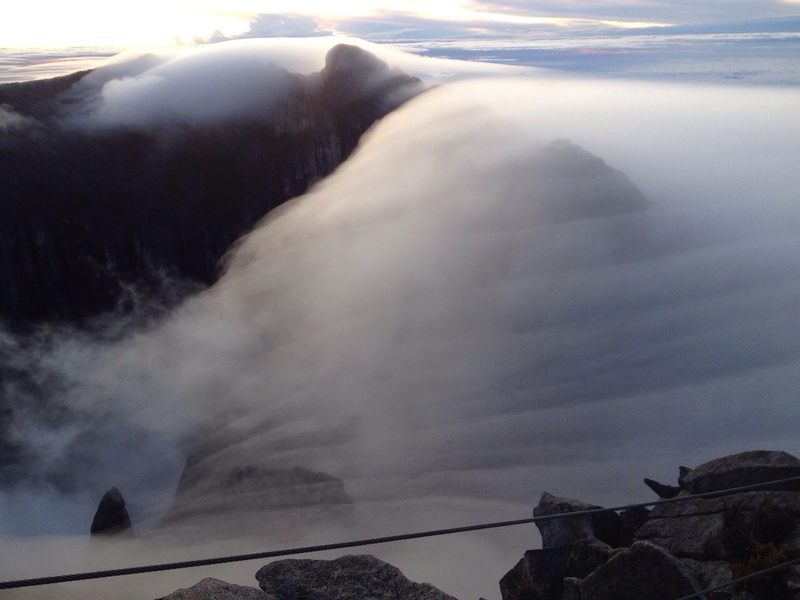 Climbers are free to explore the Laban Rata area and find a vantage point to watch the gorgeous sunset. Buffet Dinner at Laban Rata restaurant from 6.00PM to 9.00PM. After dinner, head out for some stargazing! Soak in the breathtaking view of a million stars twinkling in the skies, and spot the occasional falling stars. Overnight in the assorted Laban Rata Huts. (06:00hrs) Rise and shine with the sun to welcome the new day! Breakfast is served from 6.00AM to 10.00AM. After packing up, check out and trek down to Timpohon Gate for transfer back to the Kinabalu Park Headquarter (estimated arrival 13:00hrs to 15:00hrs). Congratulations, you can now collect your Certificate of Achievement! Buffet Lunch will be served at the Balsam restaurant in Kinabalu Park from 12.30PM to 4.30PM. Transfer back to Kota Kinabalu City. The journey takes approximately 2 hours. Excludes: Airfares, Optional Tipping & Porter Fee, Alcoholic Drinks, Sabah Parks Mountain Climbing Fees (Please bring extra cash), Any Items Not Mentioned. Your extra luggage can be stored at Kinabalu Park HQ at a nominal fee of MYR 10 per piece prior climb.